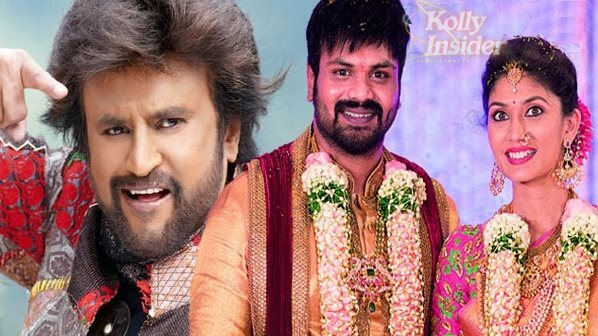 Recently, a section of media reported that Superstar Rajinikanth will not only attend Mohan Babu’s son Manchu Manoj’s wedding, but that he will also dance at the sangeet ceremony, which is all set to happen this month. In a single sentence with robust bass voice, Lakshmi Manchu heaved a big sigh. 'It's me who is taking care of Sangeeth party. There is nothing like Rajni uncle dancing there', she confirms. 'He is my dad's best friend and is there at my wedding and Vishnu's wedding too. He will be attending Manoj's wedding also but not like dancing at Sangeeth. These kinds of rumours never erupted during our sangeet functions, but I don't know why they kept coming now', Lakshmi further added.